I don’t know if any of you have ever organized a show: cat show, book show, bonsai show, or whatever else. Well, I have: a cat show a couple of years back and believe me, it’s not an easy task! 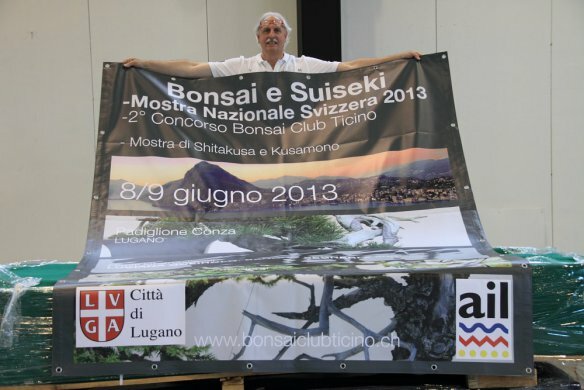 Without getting into details about my experience as President of our cat club (Abyssinians Breed Club Europe), I would like to report my view of the Swiss Bonsai Show held in Lugano on 8-9 June, 2013. As a visitor of the show, I must first and foremost say “hats off”! When someone like the Bonsai Club Ticino (a local bonsai club in Switzerland) puts up a show about bonsai, suiseki, kusamono and much more, as someone who’s been through this before, it is immediately clear to me the effort that every single person invested, the energy and nerves, the struggle to organize vendors, the eternal search for sponsors, the hours spent on the phone discussing this and that. It’s a perpetual battle until it’s done. And even on opening day, other problems are bound to pop up. The microphone doesn’t work, the exhibitor has a question, the vendors argue about something. And at the end of the show the work is still not finished! You need to take apart the show hall, update the homepage, write an article about it for the bonsai magazine, and so on. It’s not easy but it’s fun and the Bonsai Club Ticino did a great job indeed. The club offered to hold the Swiss Bonsai Show, the most important show in Switzerland, by the VSB, Vereinigung Schweizer Bonsaifreunde. It was the first time that the Swiss Bonsai Show was held in Ticino (the southern part of Switzerland, near the Italian border). Taking advantage of the importance of the show, the BCT decided to add more Japanese and bonsai related topics. 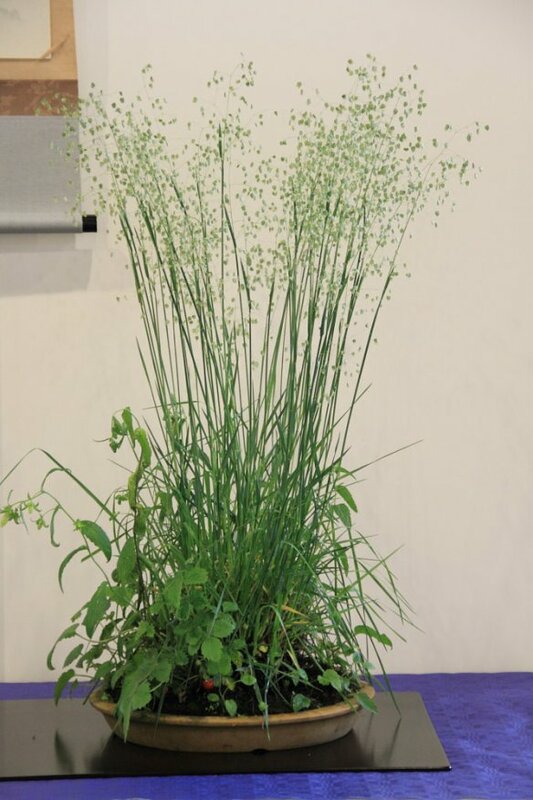 For instance they held the 2nd contest of the BCT which presented several trees from Ticino, Italy and the Principality of Monaco. The show hall was big enough to accommodate more than just bonsais, and the club has gone above and beyond!!! It featured a show of Shitakusa and Kusamono, a demonstration and show of shodo (Japanese calligraphy), Japanese music with koto (Japanese stringed instrument) and harp, Japanese dolls, a demonstration of bonsai potting, dressing a kimono, sward show and of course a live demonstration of bonsai styling by Sandro Segneri and Mario Pavone (I reported on Mario in a past post) and a demonstration about Kusamono, which was a revelation for me! The new Swiss Talent contest was also held on Saturday under the supervision of the VSB which, by the way, expressed great praise for the success of the show. Does any of you remember the Bonsai Autumn in Switzerland? Can you recall the quality of the trees, the perfection in its organization (like a Swiss clock!)? Well, I do, and I certainly hope that some day the BCT will be able to put up such a show, because, let’s face it, the Italians have been a force to contend with the last few years, and Noelander should not be the only big bonsai attraction in Europe! the show hall is huge!!! … it’s fun, believe it or not!! This entry was posted in 2013, Bonsai Club Ticino, Casual friday, show and tagged Igor Carino, Mario Pavone, Mario Pedrazzetti, Nicola Crivelli, Paolo Giai, Sandro Segnieri, swiss bonsai show. Bookmark the permalink. What an action packed show! !